Seasoned fuel (Approx 20% moisture content). Seasoned wood will provide up to 75% greater heat output than unseasoned wood. Seasoned wood also generates far lower levels of soot ensuring efficcient working of the your system and increacing sweeping intervals. 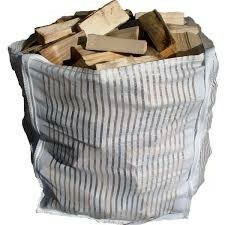 1 cubic metre bag full of pre-split seasoned firewood delivered up to 10Km from Windsor. We supply mixed hard and softwoods ie. birch, beech, oak, ash, etc.